They lived in Nebraska then Nevada until a driving trip to Alaska, up Highway 93 through Idaho and Canada, when they realized how great Idaho was. They bought a farm in Idaho and spent many years making improvements to the land and raising cattle. Both supplemented farm life with other jobs. He was a ditch rider and Ag Department Brucellosis tester. She taught school in Jerome. There were many classroom children for which they silently purchased a coat or much needed shoes. In politics she leaned more towards the left and he towards the right. Often times they might cancel each other’s votes. After their daughter, Jennifer (Jake)Traughber got married, they sold their farm and bought a ranch in Arkansas raising cattle. He worked for the USDA and she taught school becoming a Principal. 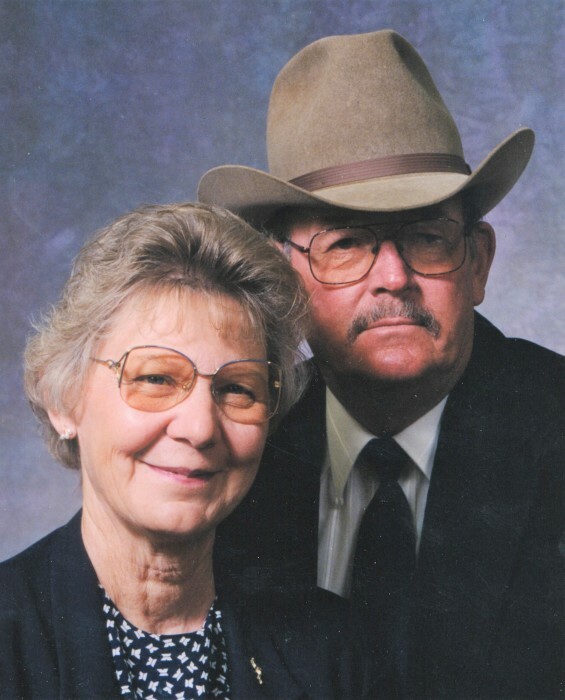 Upon retirement, they sold their Arkansas ranch and bought one in Nebraska to raise cattle. Bringing them full circle to the state they were born and raised.